We are organizing teams to participate in a new league being developed between Antigo & Wausau and other surrounding communities. It will be a developmental league for players 13-15 years old. 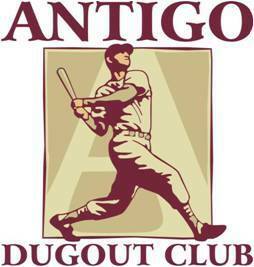 To be eligible to play for the Antigo teams players must reside in Langlade County and need to be born prior to May 1, 2004 and on or after May 1, 2001. Players will have an opportunity to play at Athletic Park, home of the Wausau Woodchucks and there will be a league tournament at the end of the season. All games will be played on weeknights and there is no weekend commitment. The Antigo teams will begin practicing and scrimmage in May and the official league will begin in June once school is dismissed for summer. Cost is only $15 for this introductory year. We would like to thank our team sponsor!